Permanent backstops are constructed by installing supplied 2-3/8" pipe supports approximately every 10' in concrete footings. Then simply bolt prefabricated 5' x 10' panels in place to create your finished backstop. 5' x 10' panels are composed of 1-5/16" OD galvanized tubing with center reinforcing brace and 9 gauge galvanized woven wire. 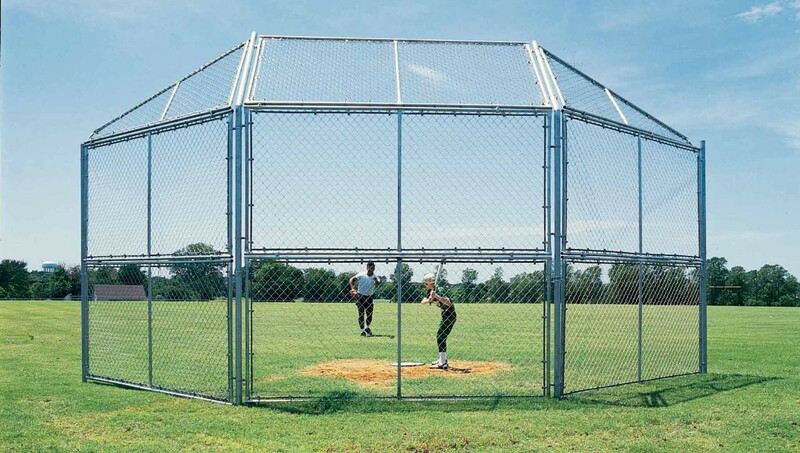 Backstops are extremely durable and allow individual panels to be removed for re-screening or replacement as needed.